Rusty Rivets is a children’s TV show about Rusty, a young boy who saves the day by making gadgets using spare parts and his imagination. 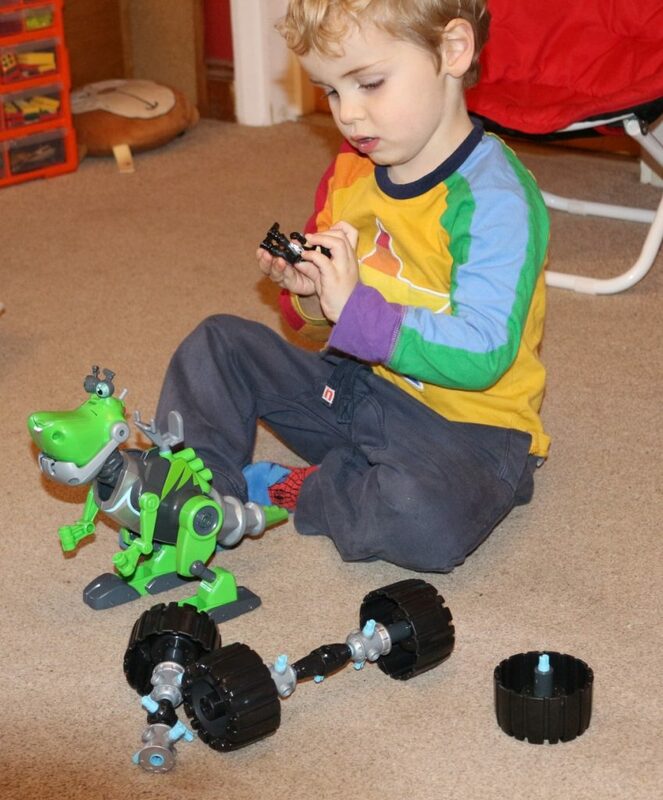 He invented his sidekick the Botasaur; a robotic dinosaur, and we were asked to review the new Spin Master Botasaur construction toy. The box is see through so you can see what’s inside and try the Botasaur lights and sounds out! 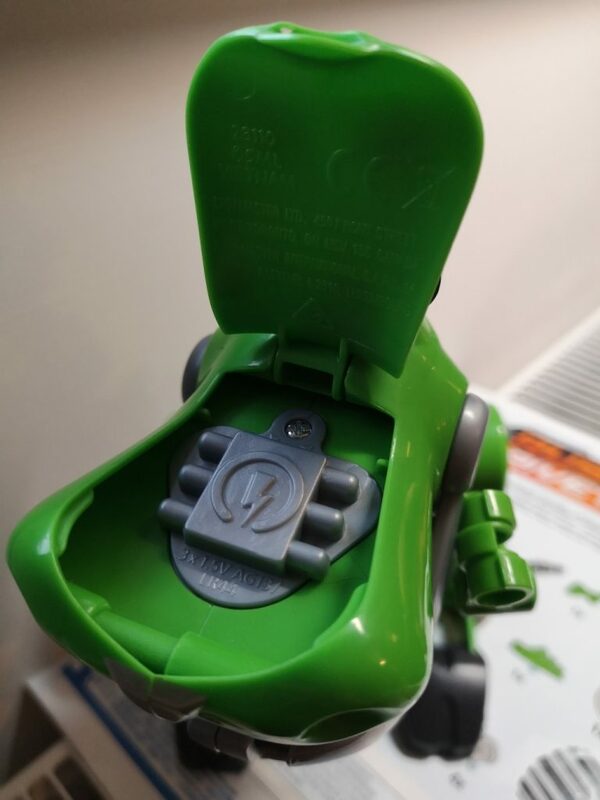 You get 21 interchangeable plastic pieces including a head piece, body, tail, arms, legs and wheels, axles, connectors and a seat for Rusty Rivets to sit on and control the Botasaur. Note that it does not include a Rusty Rivets figure. You also get a set of instructions showing you two ways to build your Botasaur; the Botasaur comes fully assembled with arms and legs but you can make him with wheels too. He requires 3 x LR44 batteries and these are included; to replace you open the compartment on the Botasaur’s nose. The Rusty Rivets Botasaur is a construction toy with lights and sounds, aimed at preschoolers. 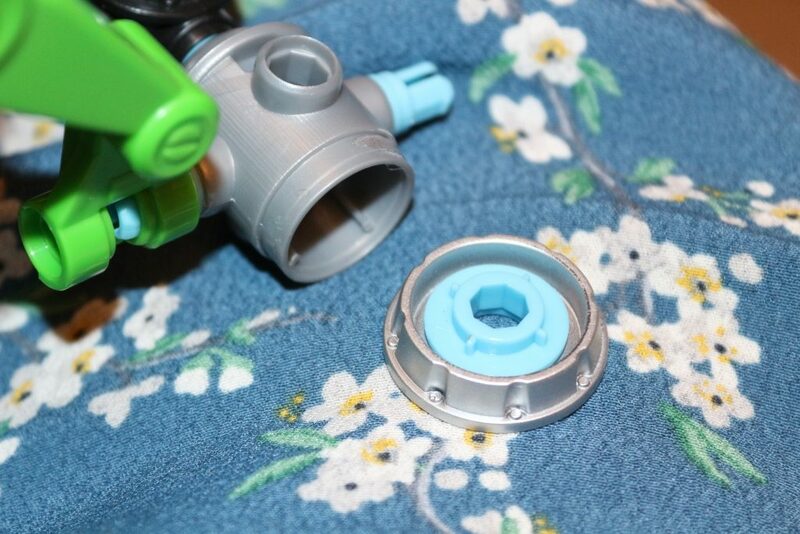 The parts for the Botasaur have blue connectors which can be pushed into and pulled out of the connector holes to fix the parts together. 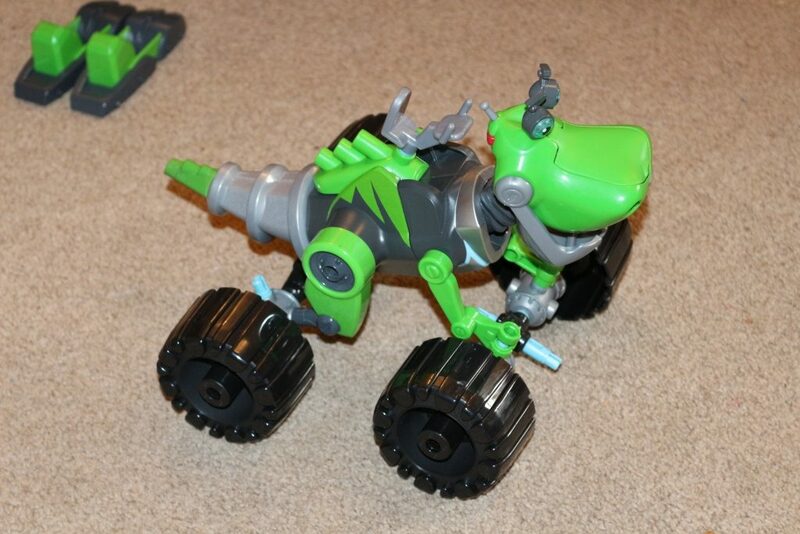 Although the Botasaur comes assembled in one way, you can change it up, add wheels, take off the arms or tail and place them anywhere there’s a connector hole. 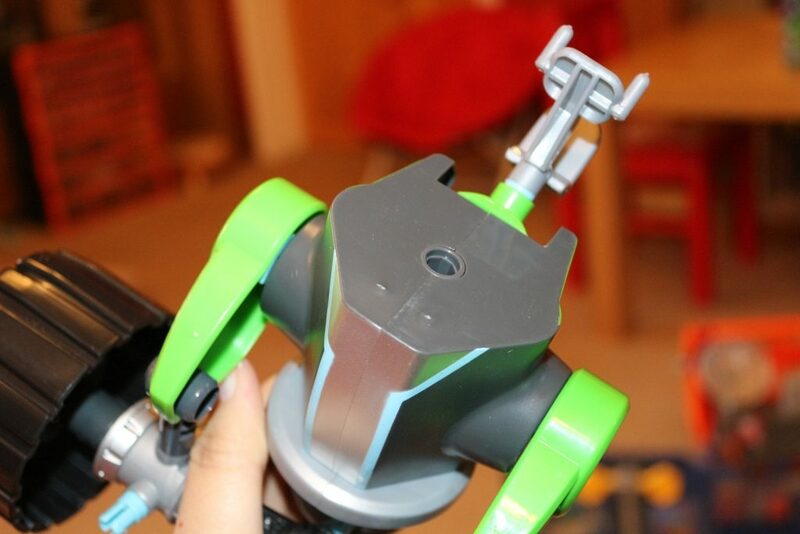 The Botasaur toy is part of the ‘Build Me’ Rivets System which means if you have other Rusty Rivets toys you can use the pieces together. Pictured above is the Rusty Rivets Lab Playset which my smallest had for his birthday; this came with a Rusty Rivets figure as well as lots of spare parts. 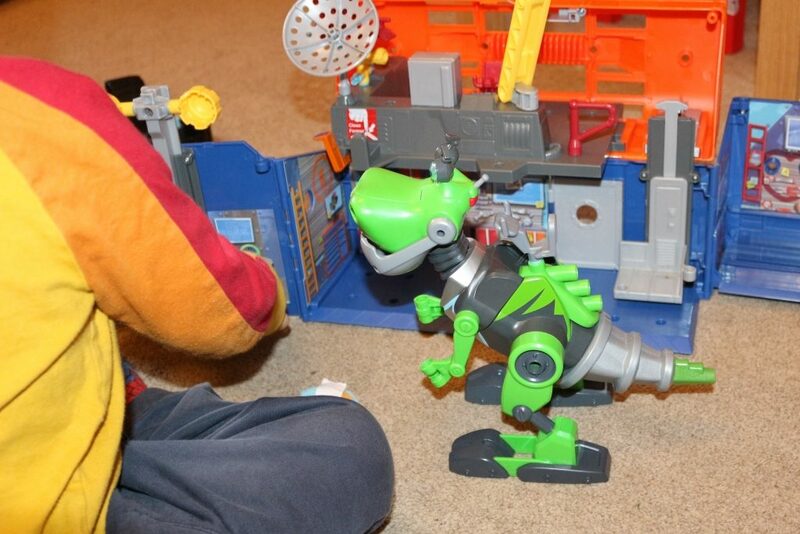 The parts from the playset fit into the parts from the Botasaur to build exciting inventions. Once constructed, the Botasaur can be used as a figure, and wheeled or stamped along. 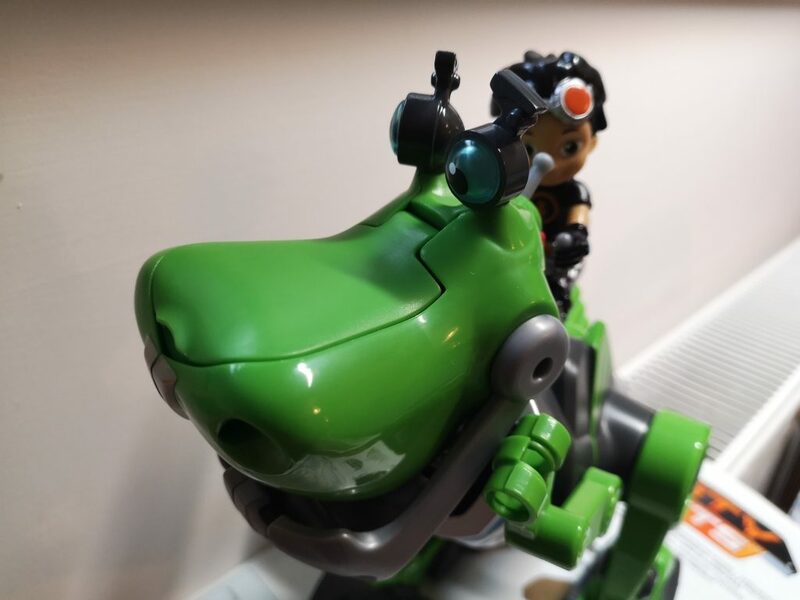 You can move his head from side to side, swivel his eyes from side to side, open his mouth, move his arms, legs and tail, and if you do have a Rusty Rivets figure then can ride along on his back. He’s also got an interactive element. If you press the red button on the back of the Botasaur’s head, the eyes flash blue, green or red and he makes sounds including a fearsome roar, stamping sounds, lasers, a computer noise, vehicle sounds and one which sounds very much like a startled cat! 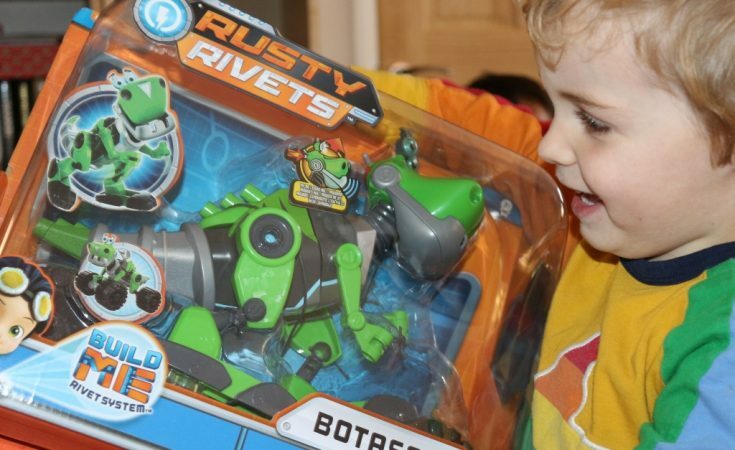 What did we think of the Rusty Rivets Botasaur? The Botasaur has a suggested age of 3+; my son is three, and enjoyed putting him together and taking him apart even more, although we had to follow the instructions together. 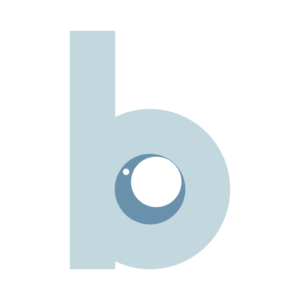 I like the concept as it’s fun to build and isn’t just another plastic toy. Even if you’re not a fan of the show, there is a good amount of play potential there with the construction element as well as the lights and sounds. One thing of note was that one of the connectors was obviously not glued together securely as I managed to break this pulling it apart; my three year old would have done it if I hadn’t, I’m certainly the less heavy handed of the two of us! However I feel that this was a production fault and would not expect this to happen on a different toy. All the other parts held together well despite being pulled apart frequently. 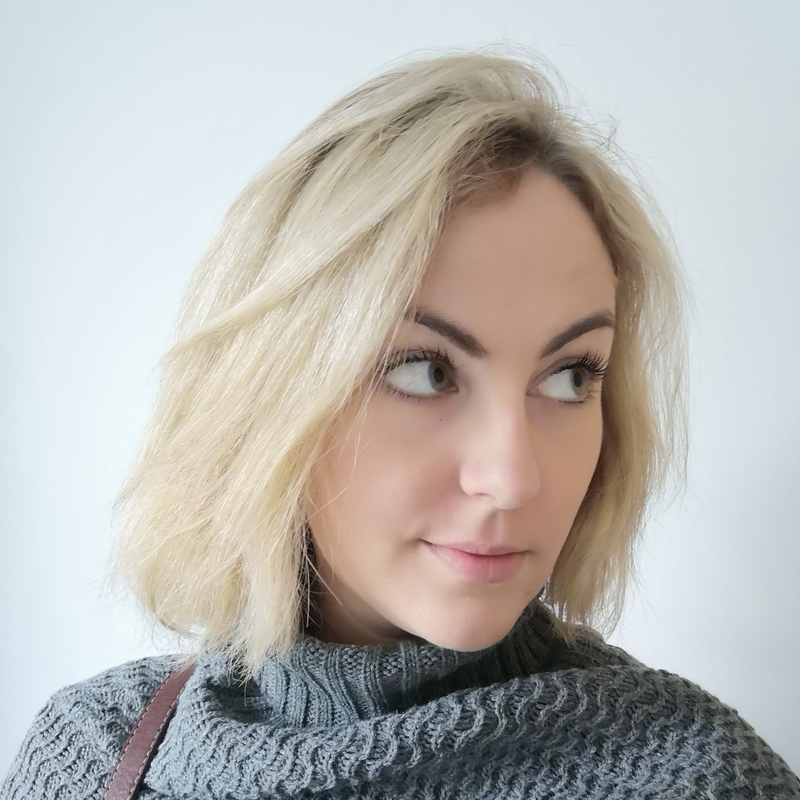 The Rusty Rivets Botasaur has an RRP of £19.99. It is available from most national retailers and at Amazon via the link below. 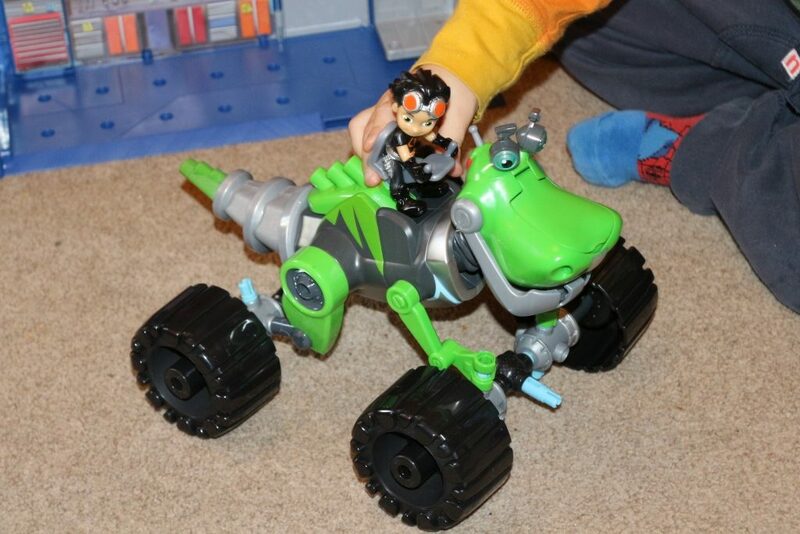 The Rusty Rivets Botasaur was sent to us free of charge for the purposes of this review, but all opinions are mine. 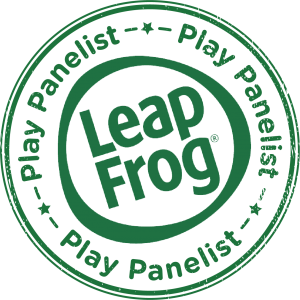 If you’re looking for more inspiration, check out my Toys & Games Reviews.